In February I issued a 30 day indexing challenge. The challenge boiled down to this: Index. If you haven’t indexed before, try it. If you already index, index a little more. Why? 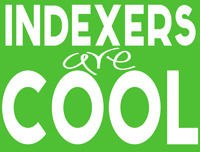 Because indexers make genealogy more accessible for everyone. My goal was to index at least one batch for everyday of the challenge. I am happy to report that I accomplished my goal and a bit more – 38 batches for me. During the challenge I indexed some new projects, some hard projects, some easy projects. Most importantly though, I indexed. If you took my challenge and indexed – THANK YOU! If you have never indexed, give it a try. You can help make the important genealogical records of the world searchable online by indexing. Thanks for encouraging me to get back into indexing. I was thrilled to do it, and will continue to index for Family Search. Every record indexed helps someone find an ancestor. Yes it does! I’m glad you have enjoyed my challenge. Thank you for all that you have done indexing. Thank you Deborah for your kind words!